Mirror Image by Michele P.W. We’d love your help. 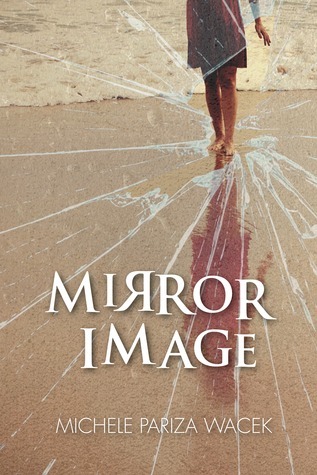 Let us know what’s wrong with this preview of Mirror Image by Michele P.W.. Preview — Mirror Image by Michele P.W. Along with being a copywri When Michele was 3 years old, she taught herself to read because she wanted to write stories so badly. Along with being a copywriter, she also writes both fiction and nonfiction books. For fiction, she's published 2 psychological thriller/suspense/mystery novels called "The Stolen Twin" (which hit bestseller status) and "Mirror Image." Her latest fiction project is a 3-book psychological thriller/suspense/mystery series called "Secrets of Redemption" which is scheduled to be published summer of 2018. The first book in the series "It Began With a Lie" is slated for a July, 2018 launch date. For more about her fiction and to read her blog, visit MPWNovels.com. For nonfiction, she's authored a "Love-Based Business" series of books, which includes "Love-Based Copy," "Love-Based Online Marketing," and "Love-Based Money and Mindset" and "Love-Based Goals." To learn more about the love-based philosophy, visit LoveBasedBiz.com.